By the end of the sixties the USSR came up with a new concept of an assault helicopter, to be based on Mi‑8T construction. The new design was to perform dual task of attacking as well as delivering troops to the battlefield. This led to construction of a prototype designated “Mi-24”. The first Mi-24As rolled off assembly lines in 1972. The designers from OKB MIL put special emphasis on ruggedness of the construction and its maximum adaptability to the demands of the modern battlefield. The cockpit received protective armour, while the introduction of wings enabled the machine to continue flight even with damaged tail rotor. Combat experience gathered in conflicts which involved Russian troops, notably the war in Afghanistan, led to further development of the construction. The following sub-variant, Mi-24D, featured a twin cockpit with the gunner at the front and the pilot in the staggered-up back cockpit. Such arrangement of cockpits ensured excellent co-ordination between the two crew members and much improved visibility. Mi-24D was up-gunned with 12.7 mm Yakoushev/Borzov YakB four-barrel machine gun in USPU-24 powered chin turret. Mi-24s operating over Afghanistan soon gained well-deserved fame of the “Mujahideen Killer”. First deliveries of Mi-24s were issued to other countries from the military alliance known as the Warsaw Pact. 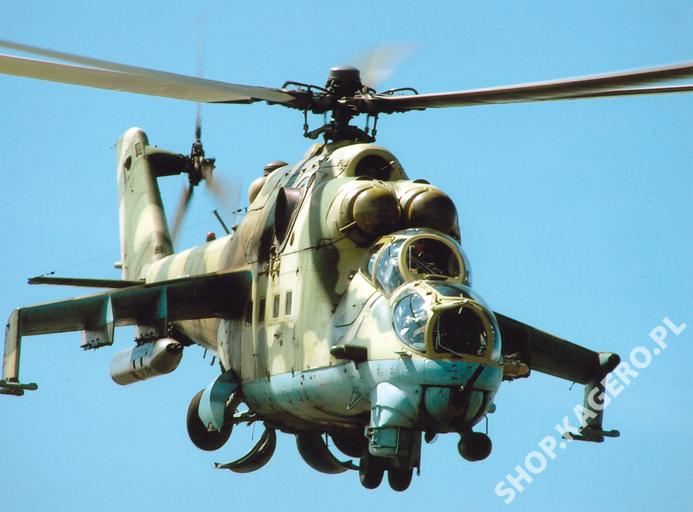 Mi-24 gunships were also widely exported outside the Warsaw Pact in special export variants, designated “Mi-25”. The progressive upgrades of the machine, which duly resulted from amassed combat experience, included added defence systems against short-range missiles: ASO chaff/flare dispensers, EVU IR-suppressors mounted over the exhaust tubes and the ‘Ispanka’ IR-jammer. The upgraded weaponry included the new generation of 9M114 type missiles. 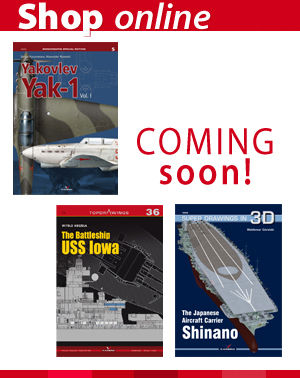 Those improvements led to introduction of the new sub-variant: Mi-24W. First Mi-24Ds were delivered to Poland -then a member of the Warsaw Pact- in 1978. At that time the 49th Assault Helicopter Group was activated in Pruszcz Gdanski. By the end of 1985 the unit received from the USSR a total of 16 machines of the “D” variant. From 1986 the Polish Air Force demands were met by supplying the newer Mi-24Ws. Sixteen gunships of the type were assigned to the 56th ‘Kujawski’ Assault Helicopter Group stationed in Inowroclaw. 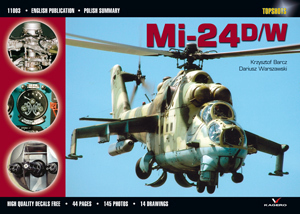 In 1996 Poland received from Germany 24 Mi-24Ds, which formerly belonged to the army of DDR (East Germany). Those machines lacked the ‘Ispanka’ system, originally mounted on the spine of Mi-24. The helicopters were thoroughly overhauled in the Military Repair Facility in the city of Lodz (two machines were dismantled to serve as a source of spare parts) and eventually assigned to the 2nd Squadron of the On 5th January 2005 four Mi-24Ds from Pruszcz Gdanski were shipped to Iraq to serve as a most welcome reinforcement of the Polish ground troops, which operate as a part of the International Stabilizing Forces.